Hello there! It’s May finally! Time seems to move pretty fast and Playstore floods with some new and interesting apps. The new PlayStore update brings more new apps with new innovations. We have already seen the potential of Android developers in our February, March & April “best apps of the month” editions and this month has been no different. 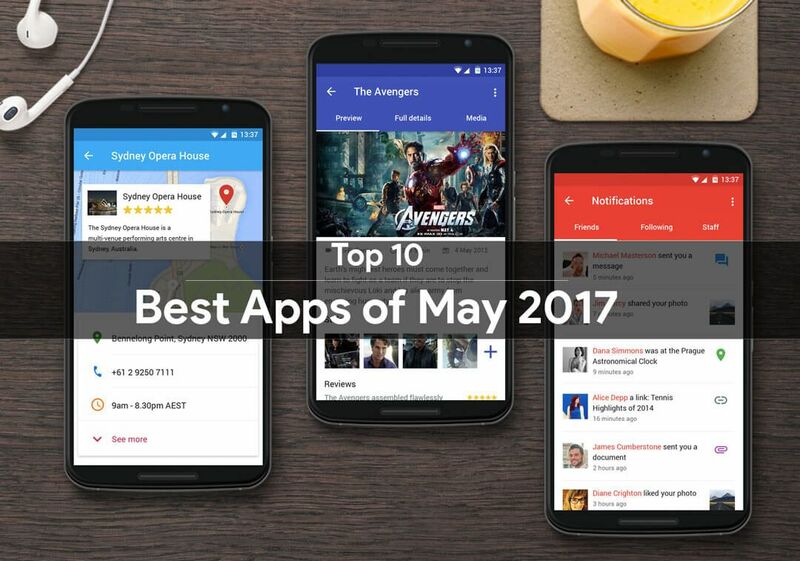 So today, we’re counting down some of the best Android apps as of May 2017. Be sure to check them out! This is an app that allows you to browser through the wallpapers submitted to reddit and to sub-reddit. There are dozens of wallpapers to choose from! Believe me, it has some of the most beautiful wallpapers that are captured or created by users. 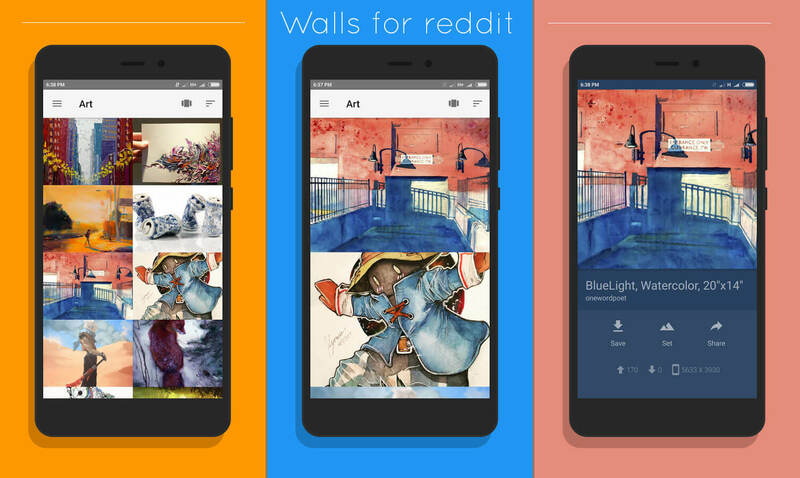 If you love to change your device’s wallpaper frequently & always run out of wallpapers, walls for reddit is the perfect app to have in your drawer. Flix Launcher is an Open-Source launcher, inspired by the Google Pixel Launcher. It is one of the few launchers that offer near Pixel experience. While the launcher is still under development, app features & gestures like Double tap to sleep, swipe up and down to open an app works pretty fine. If that isn’t enough, this app also offers a fingerprint App lock functionality, Support Icon packs & also allows you to change icon size in the free version itself. If you’re willing to put up with those occasional bugs, you must try this new launcher. Don’t want to feel left out from the latest internet trends? Synoped lets you discover trending memes, viral images, gifs and even a fully summarized fresh news update. The app is currently on its working Beta version but already earned a perfect 5.0 ratings. 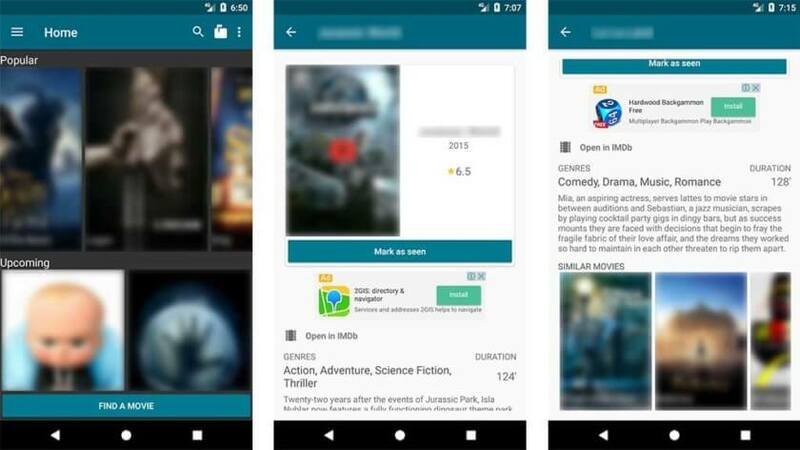 Movie Pal is an app that lets you easily find good movies to watch with your friends. Using a social media integration, this app lets you make your own “movie group”, invite your friends and find good movies you haven’t seen before. Currently this app has a low 3.8 ratings in Playstore because of the log-in issues but the developer said that the problem is already been fixed in the last update. 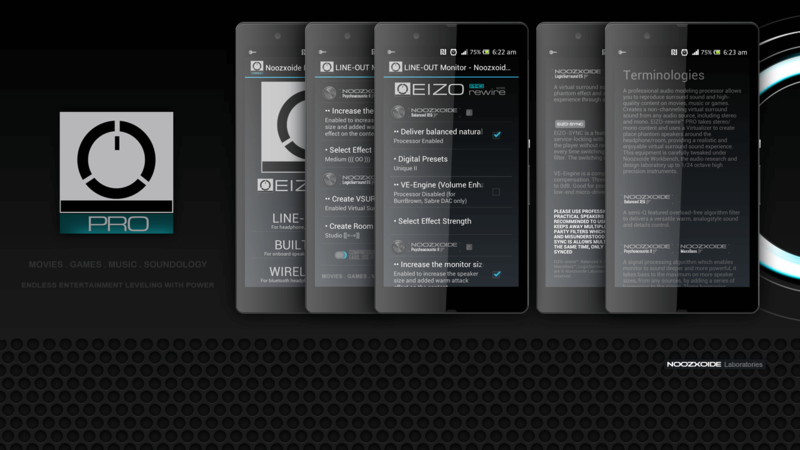 Ever wanted a Dolby Atmos in your Android phone but don’t want to root your device? This is a good alternative and it works! Yeah, you probably think that it’s name is too messed up to be a legit app but let me tell you, Noozxoide has been in my phone for quite a long time. It’s probably be the most underrated sound processor app available in Google Playstore right now and surprisingly its free. 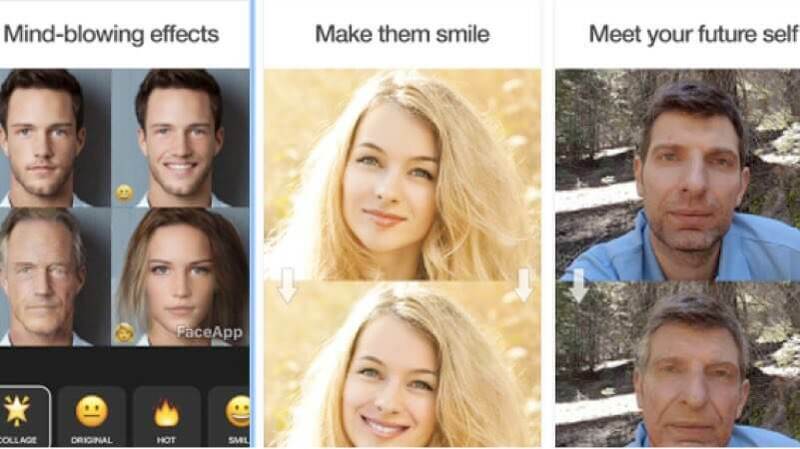 FaceApp is a new application that let’s you transform your face to make you look like younger or older (or whatever you prefer) using an artificial intelligence. But like any other good apps, there is a knock off version also available in Playstore right now. To make sure you’re downloading the right one, click the link above. It currently holds a 4.5 ratings in the Google Play Store. 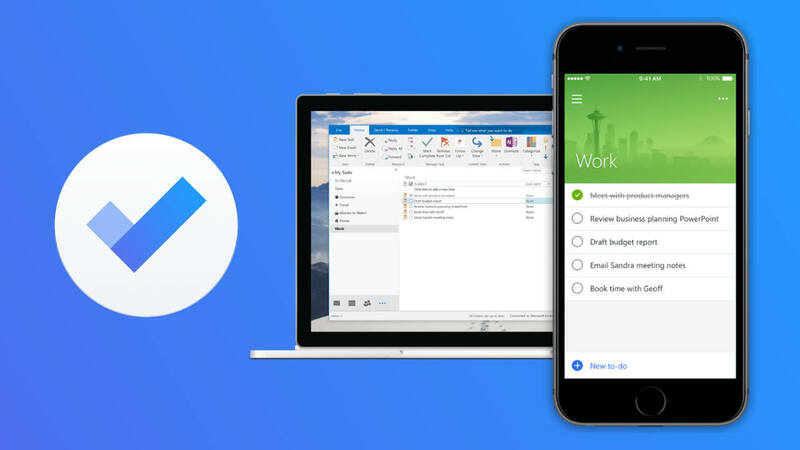 Microsoft To Do is a simple but intelligent app that lets you easily plan your day. You can also add, organize and schedule your task on the go. From movies to watch to buying groceries, Microsoft To Do lets you do all that quickly and hassle free. You can also sync your data on the computer for easy access. Have you experience toggling a sound notification volume instead of media volume? This app is for you. This app lets you toggle your sound volume right in your drop-down notification drawer. For 750KB, it does what it promised. The 4.5 ratings is not questionable. 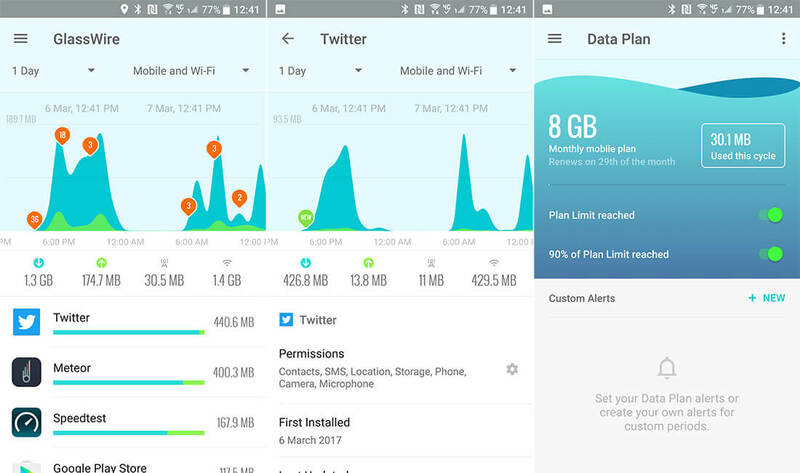 Glasswire is an app for tracking your data usage and also to spy on bandwidth wasting apps. This app shows live graph of which app are currently using your data and gives you data alerts before you reach your carrier’s data limit. On top of that is the wonderful UI. It currently holds a 4.3 ratings in Playstore. The last app on our list is Custom Navigation Bar. Custom Navigation Bar allows you to customize your existing navigation bar to make them look like the one in Android O. The good thing about this app is that it doesn’t require root access to fully customize your navigation bar. Unfortunately, it’s only available for Android Nougat users for now. It currently holds a 4.0 ratings in Playstore. While many new apps are published everyday on the PlayStore, only few of them come with a unique & innovative idea. It’s hard to list only 10 apps as there are many apps that lets you do so much more. Let us know if you find any apps that fits well in this list.